Chicago area residents looking for the perfect place to spend a few days on a romantic getaway have come to the right place. While the city has a wealth of attractions, restaurants and hotels for such a vacation, why not take a trip out of town? Several cities within a five hour drive of Chicago offer fun and interesting attractions for a romantic weekend getaway. 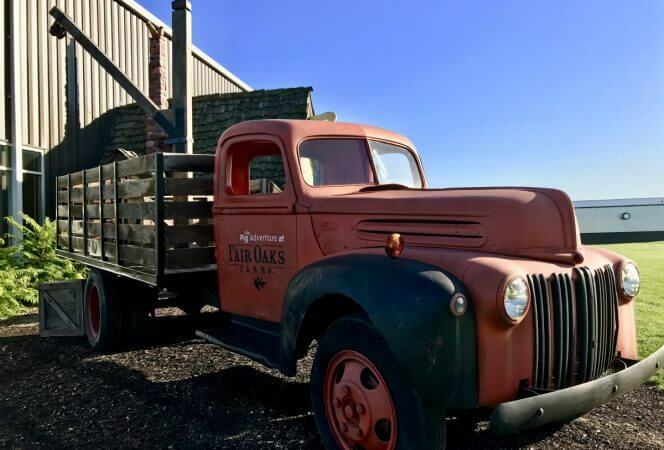 Galena Cellars Vineyard and Winery offers tours of their property, which has produced more than 20 varieties of grapes and 40 wines since the mid-1980s. Order a glass or buy a bottle of your favorite wine at the tasting room. With antique shops, boutiques, food specialty shops and more, the half-mile long main street provides a full day of shopping, eating, and fun. Those looking for outdoor adventure, should head to the Galena River Trail for a hike or consider a hot air balloon ride at sunrise or sunset over the Galena hills with Galena on the Fly. 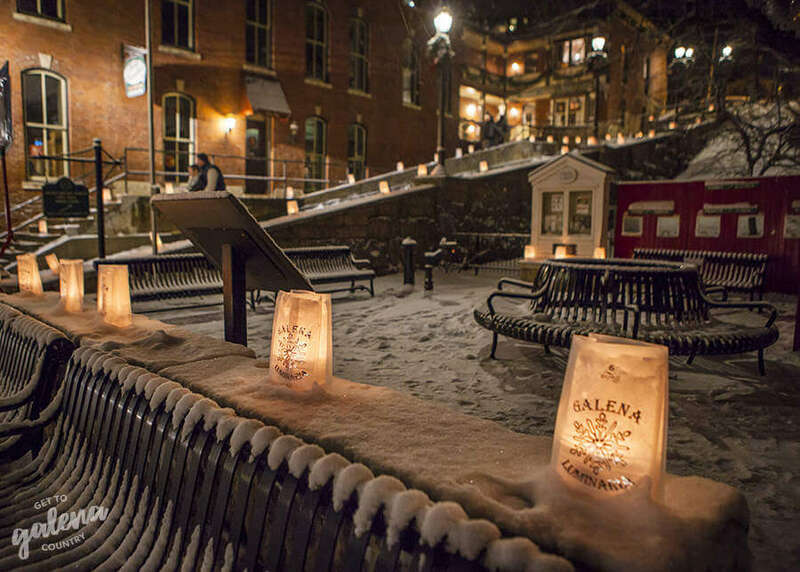 Galena’s culinary scene offers ample options for a romantic and fun dinner. Fried Green Tomatoes is a cozy steakhouse with delicious entrees and Fritz and Frites Bistro offers a little German and French entrees on its menu. A visit to Galena is enhanced with a stay at one its bed and breakfast inns. Guests enjoy a look into Galena’s history with a stay at the Jail Hill Inn, the town’s former jail. Located on a hill, the 135-year-old building provides some of the most beautiful views of the area. The rustic B&B is located downtown. Offering a taste of Ireland, Irish Cottage Boutique Hotel provides a quaint experience. Situated a few minutes from downtown, the boutique hotel offers a complimentary breakfast that makes you think you’re at an Irish countryside inn. The hotel also has an Irish pub. Art and antique shopping along with excellent wineries and breweries make Lake Geneva a choice location for a romantic getaway. 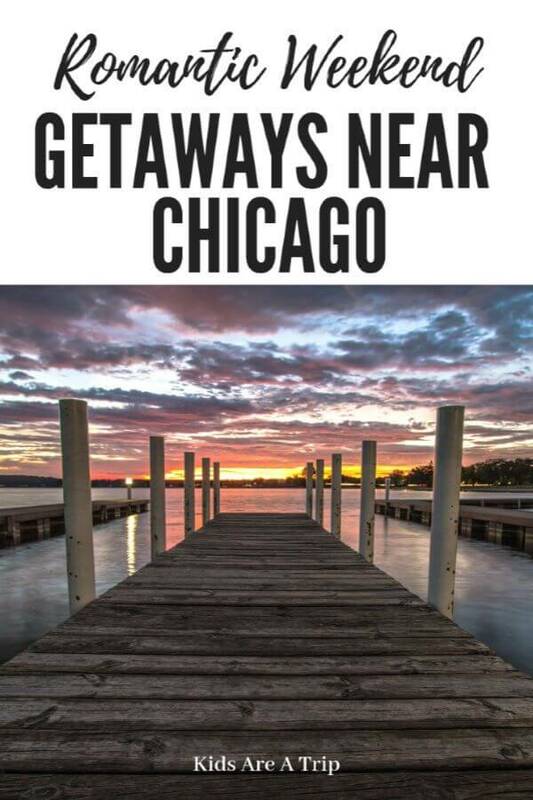 Lake Geneva is about a 90-minute drive from Chicago. The town is known for its stunning mansions along the lake, some dating to the 19th century when the town was known as the Newport (Rhode Island) of the West. Start your day with a stroll along Main Street, where you’ll find everything from antiques to home goods to fudge. If the shopping wears you out, visit one of the area’s wineries, such as Staller Estate Winery, offering more than a dozen varieties of wine. All wines are bottled from grapes grown in its vineyard. Take a tour of the winery or vineyard, followed by a tasting. Consider taking a cruise around Lake Geneva with Lake Geneva Cruise Line as it’s the perfect way to see the town from the water. Those looking for adventure might want to head to Lake Geneva Canopy Tours where you can fly through the trees on their zip lines and ropes course. For the perfect place to take a romantic stroll, head to the Lake Geneva Shore Path. The trail covers over 26 miles around the lake, but for a shorter walk, consider starting at the Lake Geneva library and heading out from there. You won’t be disappointed. Overlooking Lake Geneva, Barrique Wine & Brew Bar may be THE romantic spot you’re looking to dine. With options from fresh seafood, including oysters and Alaskan snow crab, to tasty sandwiches, dinner and wine at the Barrique may be a wonderful gift for the love of your life. Another option for a fantastic romantic dinner in Lake Geneva is Baker House. The setting is a 19th century mansion where you’re surrounded by opulent period furniture and chandeliers. Don’t miss their signature fondue, followed by one of their seafood or steak entrees. And to make it easy, might as well book a room for the night as the property is also a hotel. 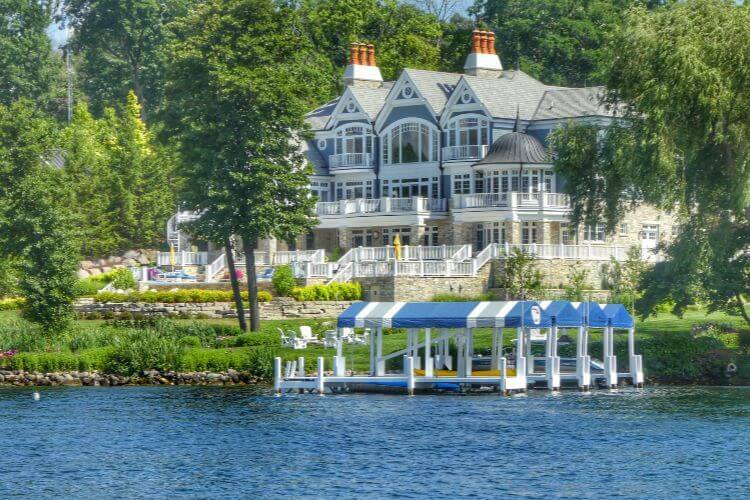 Lake Geneva is home to beautiful hotels and inns. The Grand Geneva has golf, spa, and ski options, or enjoy a cozy stay at the Lazy Cloud Lodge bed and breakfast, you’re sure to enjoy either one. Less than an hour’s drive west of Chicago, Aurora offers a weekend getaway that rivals the Windy City. The Homestead 1854 in Plano is a historic mansion that now serves as a bed and breakfast. A stay at the Homestead is a special treat when staying for the weekend, as the lush grounds are quite inviting. Each morning, the owners prepare a delicious breakfast for their guests that’s not to be missed. The B&B is a few blocks from downtown, which served as Smallville in the movie “Man of Steel.” Storefronts still display artwork related to the movie. Take a tour of the memorable Farnsworth House. Resembling a shoebox design, interior closets and walls are surrounded by a glass exterior. Built for Dr. Farnsworth as a weekend retreat, the project was considered a marvel during its early days. Today, thousands of tourists visit the home surrounded by woods along the Fox River. An afternoon break should include a stop at the Oswego Brewing Company. Home to about 10 varieties brewed on site, the brewery is spacious and offers board games to play and televisions for watching sports. Hardware is a fully sustainable gastropub and brewery, and it provides a perfect environment for a romantic dinner. Dimly lit, the menu provides a nice selection, from locally grown vegetables to an amazing brisket dinner. The bar also has about 400 whiskey selections from which to choose. A trip to the Paramount Theatre for a Broadway-style show is the perfect way to end a romantic weekend. The immaculately-designed theater is one of Illinois’ best theaters for watching a musical or play. 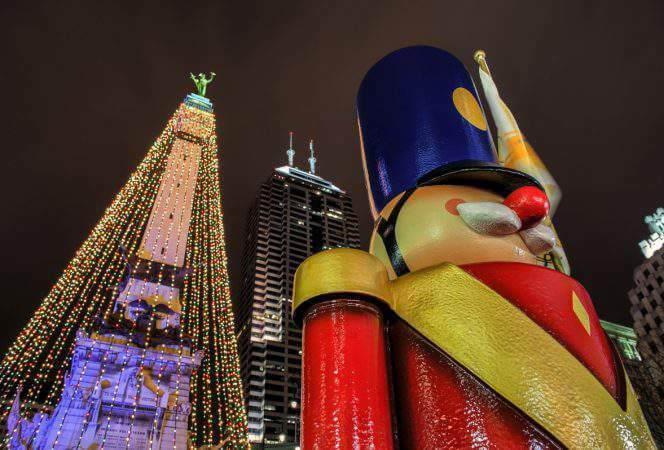 Located about three hours from Chicago, Indianapolis offers an urban getaway for couples. A stay at the centrally located JW Marriott Indianapolis is the perfect spot for a romantic weekend. The hotel’s immaculate décor adds to the romanticism of your visit. 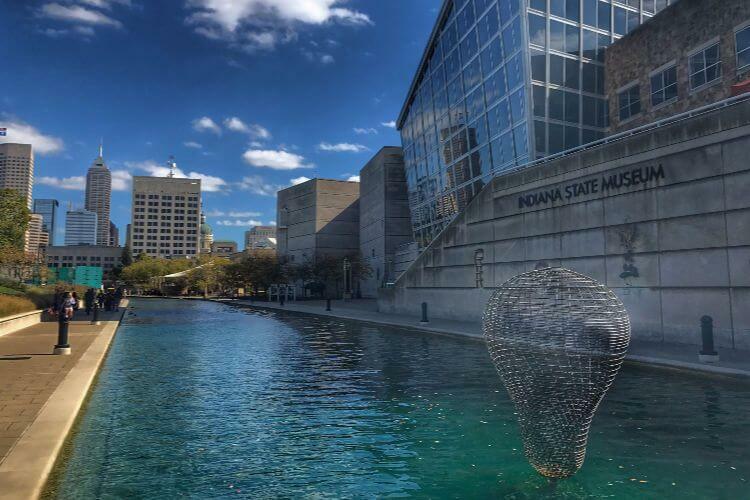 The rooms are well-appointed and provide excellent views of downtown Indianapolis, White River State Park, and Lucas Oil Field. While romance is the theme, take a trip to the Indianapolis Motor Speedway Museum. A history of auto racing, located on the grounds of the famous Indy 500, is enhanced with exhibits of championship-winning cars on display. You don’t have to have children to enjoy a visit to the Children’s Museum. 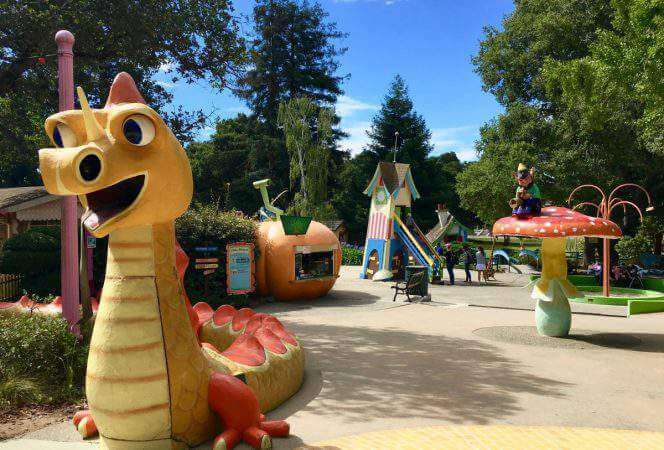 Several exhibits are aimed at people of all ages. Dinosaur fans love the building’s exterior with dinosaur sculptures coming out of the walls. The Canal Walk, not far from the JW Marriott, is a wonderful spot for a romantic outing. Take a walk along the waterside, or rent a paddle boat and take your own canal cruise. Museums and monuments are located along the Canal Walk, including the Eiteljorg Museum celebrating America’s western heritage and the Medal of Honor Memorial. Monument Circle, one of the city’s most popular attractions, is about ten minutes walking. If a unique hotel stay intrigues you, then reserve a room at the Ironworks Hotel. The boutique hotel is located in a former Ironworks building in the Keystone area. A favorite among tourists and celebrities, enjoy a special dinner at St. Elmo’s Steak House. An Indianapolis staple for more than 100 years, the steakhouse offers a delicious meal as part of your special occasion. Also consider Livery, which serves delicious Central American cuisine in an intimate setting, or Bluebeard, a superb farm to table gastropub, and James Beard semi-finalist. Traverse City is just under five hours from Chicago, offering a fantastic weekend escape any time of year. Known for its vibrant art scene, outstanding restaurants, and ideal waterfront location, couples will enjoy a getaway to Traverse City. There are vineyards for wine tasting, local bike trails, and the most amazing sand dunes to climb at nearby Sleeping Bear Dunes. In the winter months, consider trying the Vine to Wine Snowshoe tour, which takes guests from vineyard to vineyard (there are over 40 wineries in the area), or try a fat tire bike ride along the trails at 45 North Vineyard and Winery. If craft breweries or distilleries are more your speed, you’ll be sure to find one that fits your liking as there are close to 20 taprooms in Traverse City. You can also spend your days shopping at the city’s 150+ galleries and boutiques, followed by a bite to eat at one of the local cafés, such as Grand Traverse Pie Company. For the perfect romantic escape, book a room at a winery attached to an inn, such as Black Star Farms or Chateau Chantal. The Inn at Black Star Farms has luxurious guest rooms, farm to table meals, and a stunning setting on 160 acres of rolling hills in Northwest Michigan wine country. Chateau Chantal has beautiful views as well, sitting on a hilltop just outside Traverse City. The property offers wine tastings, bed and breakfast, and romantic getaway packages. For a full resort experience, head to Grand Traverse Resort & Spa where you’ll find a casino, spa, shopping, golf, and four different swimming pools. You can’t go wrong with any of these lodging choices. Be sure to sample some of the best restaurants in Traverse City during your stay. The Cooks’ House has world class chefs and features a fabulous tasting menu made with locally grown and foraged food. Trattoria Stella is a can’t miss restaurant in Traverse City, known for its intimate Old World charm and delicious Italian cuisine. Another romantic restaurant in Traverse City that’s well loved by locals and visitors is Boathouse Restaurant. With beautiful harbor views and wonderful seafood and steak entrees, it’s worthy of any special occasion. Take a 90-minute drive north to Wisconsin’s cheese country for a romantic getaway to Milwaukee. Known for its beer and brats, Milwaukee is home to interesting attractions, such as the Milwaukee Art Museum. Located on the lakefront, the museum’s shape resembles a sail boat commonly seen on the water. With about 30,000 pieces of art, the museum may be best known for its brise soleil, which helps regulate energy. During the day, the wings open to provide natural energy and close at night to help insulate the museum. 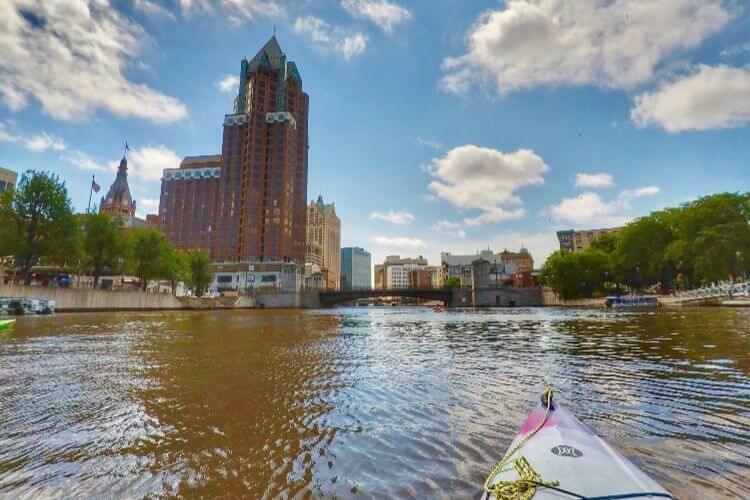 Take a kayak ride along the riverfront for an unbeatable view of the city’s architecture, and stop along the way at some of the local breweries, or take a tour of the Miller brewery or the historic Pabst brewery. Another fun stop is the Harley-Davidson Museum where you can take a tour of the legendary motor company. Dining in Milwaukee can be a unique experience. Try an authentic German meal at Mader’s or head to Sanford, a critically acclaimed restaurant featuring global cuisine. A stay at the historic Pfister Hotel can enhance a romantic getaway. Opened in 1893, the Pfister provides a luxurious stay in one of Milwaukee’s classic buildings. If you prefer a more intimate setting, reserve a room at the Shuster Mansion. A historic mansion on the city’s west side, the Shuster is the perfect spot for a quiet, romantic stay. Chicago is centrally located, allowing you to choose several locations for a romantic getaway. With these romantic hotels, restaurants, and activities, you will surely have fun choosing the perfect place for that special couples vacation.